Creating your own custom looks could be as easy as sending an email or having a phone call because that’s all you need to do to start working with us at AMBRO Manufacturing. AMBRO Manufacturing is a contract garment printing company with over 30 years in business so we’ve got tons of options to offer you when it comes to making your own garments. Not only do we have the variety, but we also have decades of industry expertise to make sure it all goes smoothly, so if you want to see what you can do with us, we’re here waiting for you. You don’t have to be a pro at contract garment printing to be able to utilize our services because we work with customers of all different experience levels. Our support staff is here to guide you through the process should you have any questions or feel lost, so don’t be shy even if it’s your first try. Wed o all of our production in-house which enables us to maintain superior quality control from start to finish on every project, so you know you’re in good hands; we wouldn’t have stuck around for as long as we have if we couldn’t provide top notch work. 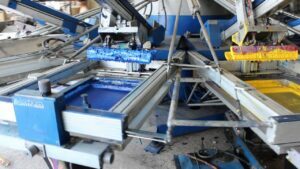 It’s easy to get your first contract garment printing project started with us as all you need to do is reach out to one of our representatives and we’ll be happy to show you the way to begin. You don’t even need to leave your seat to place an order because you can do it all over the phone or through the internet and we’ll ship the completed goods right to you! So if you are interested in contract garment printing with us at AMBRO Manufacturing, or if you would like to learn more about our company and all of the customization services we have to offer, you can contact us by email or by giving us a call at (908) 806-8337.